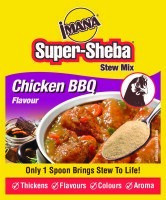 ​ IMANA Super-Sheba Relish Gravy thickens and adds flavour, colour and aroma to all savoury dishes. 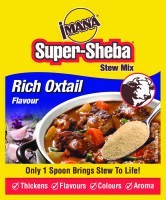 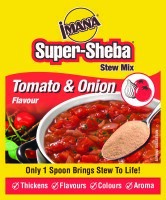 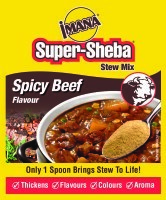 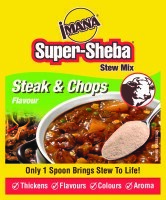 While IMANA Super-Sheba is not a packet soup, it is specially formulated to be used as a lot of people use packet soup, as a flavouring and thickener for stews and gravies. 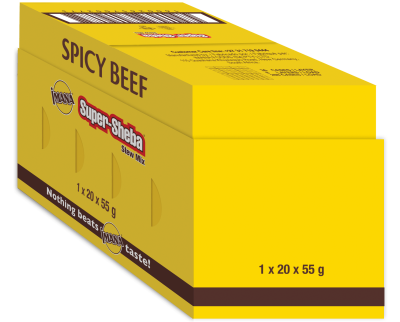 It is concentrated, so less is required to achieve the desired effect, and it is contains ingredients that cook instantly. 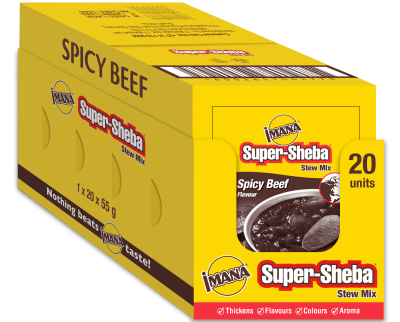 Quick and very convenient, IMANA Super-Sheba is sprinkled straight from the sachet on the food just before cooking is complete. It is particularly good when used as a base for traditional relishes (seshebo), and is delicious when sprinkled on top of baked dishes like cottage pie or macaroni cheese, or on snacks before toasting.